Note: The Ron Lewis Automotive Group's 100,000 Mile Certified Limited Warranty offered on eligible used vehicle inventory provides power-train coverage up to a total of 100,000 miles on the vehicle's odometer. This warranty covers engine and transmission repairs, all internally lubricated parts contained within the transfer case and drive axle repairs. All repairs and maintenance are to be completed at any Ron Lewis Automotive Group location. See www.ronlewisautomotive.com or contact any Ron Lewis Automotive Group location for details. We Love Our Internet Customers! Print this Listing and Present to MIKE MONROE -- Waynesburg Dodge Chrysler Jeep's Internet Sales Manager to Receive $100 SAVINGS any New or Used Vehicle! 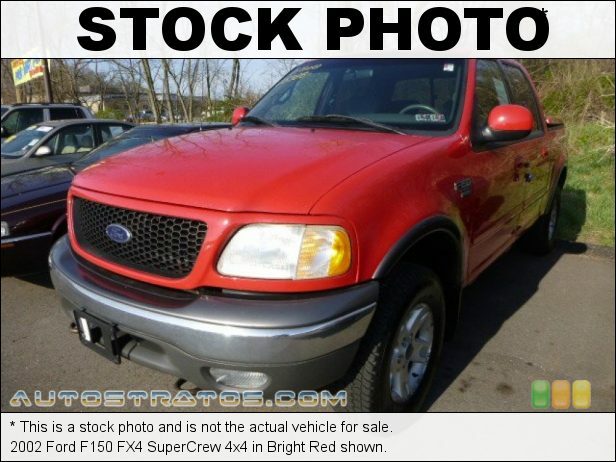 Gray 2002 Ford F-150 Lariat 4WD 4-Speed Automatic with Overdrive 5.4L V8 EFI **SUPER CLEAN**, 5.4L V8 EFI, 4WD, ABS brakes, Compass, Fog Lamps, Illuminated entry, Power Adjustable Driver's Pedals, Remote Keyless Entry, Remote keyless entry. Recent Arrival! Odometer is 105317 miles below market average!